The Tamil National Alliance (TNA) and the Sri Lanka Muslim Congress (SLMC) will discuss the possibility of contesting as a coalition in the Eastern Provincial Council (EPC) Election. The EPC is expected to be dissolved by the Government in the near future. The TNA Parliamentarian M.A. 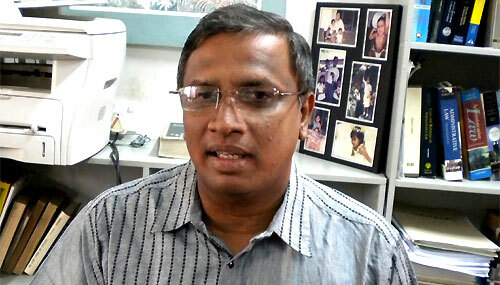 Sumanthiran told the Daily Mirror yesterday that his party was expecting to discuss the matter after the dissolution of the EPC. “We have a very good understanding between us and we meet regularly. When the time comes we may set up a MOU.” he said. He pointed out that the Chief Minister’s position would not be an issue for either party. “Why should we worry about the Chief Minister being a Tamil or a Muslim?” he questioned. Meanwhile, a senior member of the SLMC said they would have their discussion after the dissolution of the Eastern Provincial Council. “We are with the Government. But, there are possibilities of contesting along with TNA” he said. He also further said the majority of the SLMC supporters in the Eastern Province preferred to go it alone. “The SLMC will discuss this matter after the announcement of the election date” he added.